Brakes are one of the most common repairs we see at Master Mechanic. Does it seem like some drivers go longer between brake pad replacements than others? That’s because they do. While brakes are critical for the safe operation of your vehicle, many factors contribute to how long they last. 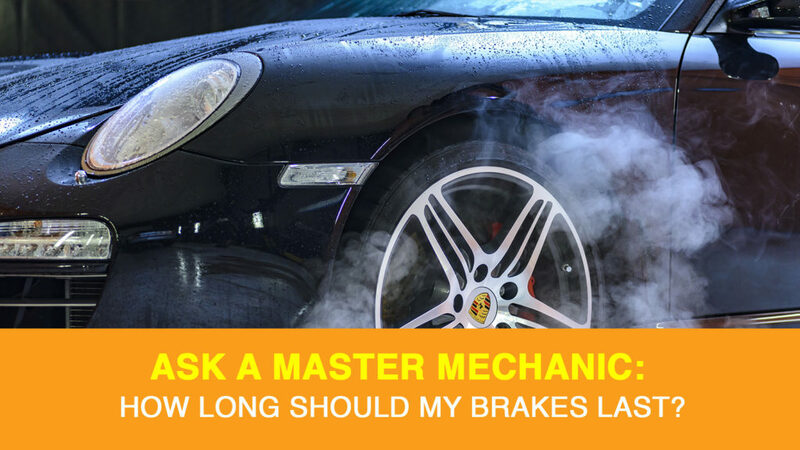 We sat down with a Master Mechanic to learn more about what influences the lifespan of your brakes and what you can do to extend the time between repairs. On average, brakes can last anywhere between 30,000 and 80,000 kilometres. So, how can brakes have such a ranging lifespan? Things like driving habits, the type of pads, and the vehicle your drive can increase or decrease the time between repairs. According to our Master Mechanic, your driving habits have the most tremendous impact on your brakes. If your commute includes plenty of highway driving, with little braking, your brakes will last much longer. City driving, on the other hand, typically requires a lot of stop-and-go driving. This puts your brakes under strain continuously and will lead to quicker wear. Not all brake pads are created equal. The brake pads your mechanic chooses will also have an impact on how you can wait between repairs, as will the size of your vehicle. Bigger vehicles create more friction when stopping and will wear-down more quickly. At Master Mechanic, we have many high-quality brake pads and can suggest the right one for your vehicle. What Are the Signs I Need A Replacement? You’re probably already familiar with the most common symptom of worn-out brakes. It’s hard to notice the annoying squealing you hear when you apply the brakes. If left unattended, the sound will turn into a grinding noise, which indicates that there is no friction material left which can greatly reduce brake performance. If you notice your vehicle isn’t responsive when you apply normal brake pedal pressure, this likely indicates a more severe issue than a brake pad replacement. You’ll need to bring your vehicle into your local Master Mechanic ASAP, and we advise never driving if your car is in this condition. If you suspect it is time for a brake repair, or you have any questions about the lifespan of your brakes, don’t hesitate to contact your local Master Mechanic! We’re always happy to help! < Ask A Master Mechanic: How Expensive Is Owning A Car?